With Medicare changing the healthcare landscape, HighFive Health (HighFiveRx), a Madison, WI-based startup, recognized the importance of technology in enabling healthcare organizations to take advantage of care incentives. Speciﬁcally, they focused on medications, which they knew were at the root of nearly two-thirds of Medicare readmissions and a modiﬁable variable in high-cost patients. Armed with key clients and partners to roll out its vision for its Community Medication Management model, HighFiveRx needed a strong technology partner to create a powerful tool that could identify opportunities in modiﬁable medication-based risk and reconcile the often-convoluted medication narratives of complex, at-risk patients. HighFiveRx had a great idea but faced several hurdles in bringing a game-changing medication management application to market. First, they needed a partner that understood the complexity of healthcare data models from past experience. This partner had to be a dedicated one in that it could brave the iterations necessary to create a scalable data model that could accommodate various data sources and data partners over time. Also, the application itself promised to drastically optimize the medication reconciliation process not only by aggregating medication lists from various providers across the community and the ﬁll history from various pharmacies, but also by providing a reconciliation workﬂow that cut the clinical pharmacist’s execution time in half or better. Delivering on these promises was no short and easy task. 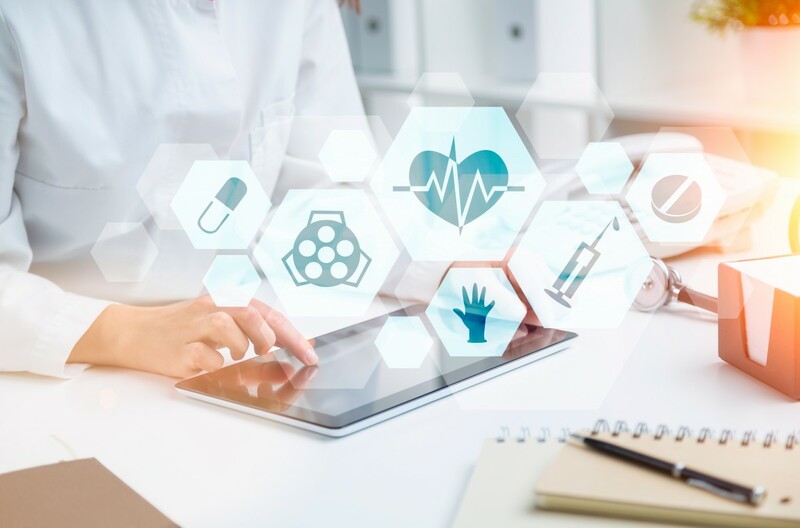 This case study details the challenges and successes from partnering with HealthFive Health, LLC to build a robust medication management platform to reduce clinical pharmacist time by more than 50% during the medication reconciliation process. HighFiveRx needed a partner that understood the complexity of data architecture in healthcare; the asynchronous timing of data partners coming to the table made it crucial for HighFive to work with a industry-focused technology partner. Symphony was this ideal partner in that it leveraged its deep experience and talent in healthcare data integration to connect with APIs from various pharmacy data sources—and with EHR feeds from various healthcare providers at HighFive’s ﬁrst test market in the Bloomington, Indiana area. Symphony’s past experience with dozens of healthcare clients enabled it to adjust the data model and the varying HL7 interfaces as platform needs evolved with new community stakeholders and third-party data providers entering the picture. Symphony was able to incorporate medication lists from over a dozen providers, as well as the ﬁll history from various pharmacies and pharmacy beneﬁt managers (PBMs) to put together a comprehensive view of each patient’s prescription narrative. The Figure above shows some of the community stakeholders under the Community Medication Management model. The other challenge that Symphony met head-on, in parallel with data integration efforts, involved building a medication reconciliation tool that could compile a patient’s set of differing medication lists and their prescription ﬁll history, allowing a clinical pharmacist to easily reconcile those lists on a single-page interface. Due to the volume of both medication lists and prescriptions that a high-utilizer patient has, as well as the complexity of the workﬂow, this was no simple task. Symphony built the application to what might be considered lofty speciﬁcations, allowing clinical users to save time spent managing the important, but often arduous, medication reconciliation process. Users can now compare up to four lists at a time and quickly send reconciled lists or a variety of HIPAA-compliant messages, across the community of care for that patient, all without leaving the main comprehensive medication review screen. Symphony continues to support HighFiveRx’s development and EHR integration efforts. INTERESTED IN BECOMING A SYMPHONY INNOVATION PARTNER?